After a solid rookie season in the OSCAAR Modified division, Jason Bowden is ready to go for another year. The hype is there to get back behind the wheel, but also through the schedule changes the series has made in Delaware Speedway returning to the calendar. 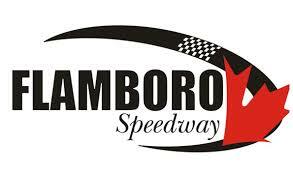 The flat tracks seem to fit Bowden’s racing style, so it’s no surprise that Flamboro Speedway is also another event circled on his calendar. Heading into his second season of competition, Bowden says the goal is to get to victory lane in the heats, while making it onto the podium during the features. Knowing he has to be more aggressive is something that Bowden picked up from the year, in seeing how fierce the competition is across the division. He noted the aggressiveness from the division in general was his biggest surprise of 2018. Being able to run good in the heats will also help ensure a strong starting spot for the features, which will be important given the high likelihood of high car counts. In looking to battle up front, Bowden feels the drivers that will be with him in the top-five will include 2018 Series Champion Cory Horner, along with the John Harper and Dale Reinhart. For Bowden, his interest in racing started from a young age, spending time in the shop with his father and his uncle Ron Easton as they built a Canadian Vintage Modified. His time with Ron Easton is what formed his love for modifieds, too, when Easton ran some events in the states. Through the years, he had gotten the chance to get behind the wheel of a vintage modified, but the 2018 season truly marked his first full year as a competitor. “I’m going on 35 years of hanging around, mostly getting dirty, and playing with pliers, and filling gas in other people’s cars,” he commented. “But last year was kind of the first full year that I’ve driven my own car for a full year which was a good challenge. I learned a lot and I’m kind of disappointed in myself a little bit because I was hoping for some heat wins and top-fives in the features. From the experience gained over the last several years, Bowden says the biggest piece of advice he has to the next generation of rookies is to be patient.